Featured Posts can now be promoted to infinite scroll slots. As part of our first rollout of on-site annual Gift Guides we have now added an additional distribution method which is the ability to promote a Featured Post to inf scroll slot. Previously this was not possible due to the unique visual layout of the Featured Post template and would render strangely in the inf scroll list alongside standard post types. 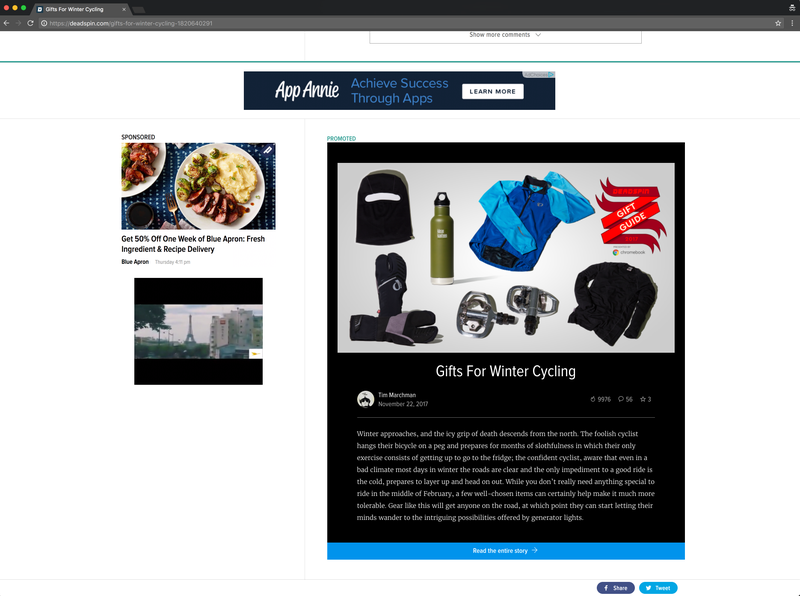 The solution we came up with was to create a “preview” of the featured post content using a design that would bring in an enticing amount of content and then provide a CTA and button to link to the permalink of the featured post.